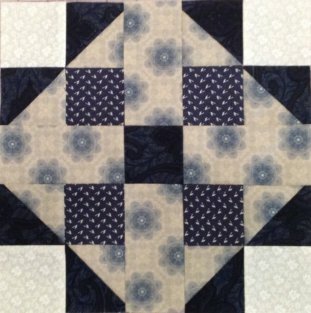 When looking at the block and the fabric chart fabrics 1, 3, 5, 10 were used. Sydney is a gorgeous city with a wonderful atmosphere, packed full of interesting people and this month Pat has drawn on all of that for inspiration for her fabulous new block. When Pat thinks of Australia she thinks of Sydney. Pat knows there are a million other cities that will be amazing to see, but.. this is the one she wants to see first. The harbor, the bridge, and the Opera House. She says she thinks of it like people coming to the United States for the first time, they usually don't want to come to Fairfax VA or Dayton Ohio. They want to go to New York city! Pat is sure once she gets there she need to stay awhile, like maybe a year. She needs to go see the red rocks and hold a Koala bear. Yes.. the regular touristy things! But Pat also wants to see the quilt shops and the quilters who she's met over the last 20 years. They are the people that bring their country to life for me.